Oddly, nobody has added it to the monitor, soo I did for us. 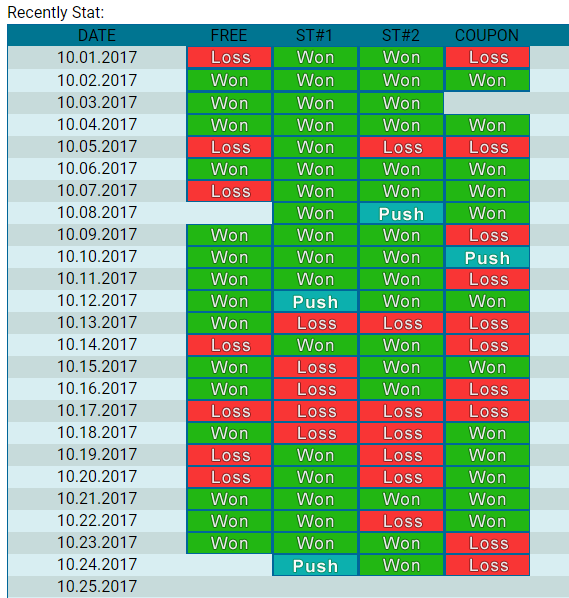 Earnings have been consistent for 52 straight weeks. their sources have been verified, as well as replicated to prove they are doing what they say they are doing. It has a familiar ring to it... surely someone talked about it before. correct. 5 to 7% weekly for the last 52 weeks! 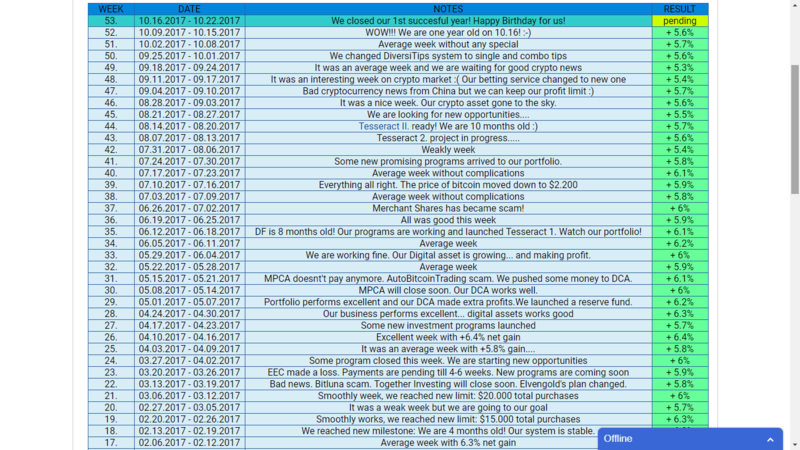 I am in this program as well for quite some time, and have invested a small amount in it and been compounding since I joined. @arghabd I have faith in this program. soo much faith that I am maxed out. 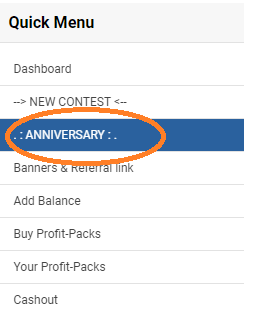 Do not forget login and read the Anniversary news. Anniversaries only happen once a year. so they should be special! I am preparing, getting ready to win! Online investments are risky, but this been very consistent and not much hyped or high return on investment. That being said, I recently invested a small amount again along with my current compounding. I will start withdrawing after few months, but till then, I will compound. @passivetools @remedcu Thanks for your valuable reply. I have to keep someone convinced about their trustworthy status. I saw passive to promote through BBC. I got to know from that promotion that, they have bought mining rigs. How truth is that? Thanks for your reply again! It is true their mining rig stats are real. There are links to the pools they use on the portfolio page. I am glad the BBC page is helpful. Thanks @passivetools for your valuable information and feedback. BBC promotional page is really a fantastic one. How may I use your promotional page to use for my own promotional purpose? May I? Pls let me know. a cool project that has been in the making. I'll let you know when it is complete. Personally, I have tested their strategy for 3 months. But once I got accustomed to the routine, it was easy. It took a while to get to this number, ( total lifetime purchased) because you are only allowed a max # of active ad packs. Currently I am collecting cool facts about DF so I can put it into the video contest. First prize is decent, but I foresee these videos helping people understand a Bit Better how the DF system works. It looks fantastic, how good is your profit atm? 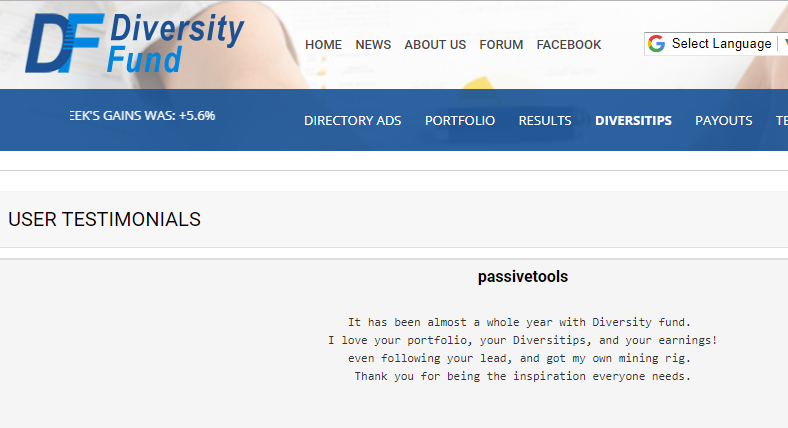 I use PassiveEarner to track my Diversity Fund . so you can follow/see my success there. Making progress slow and steady. I wonder if I could edit my testimonial I see a few typos .. oops.